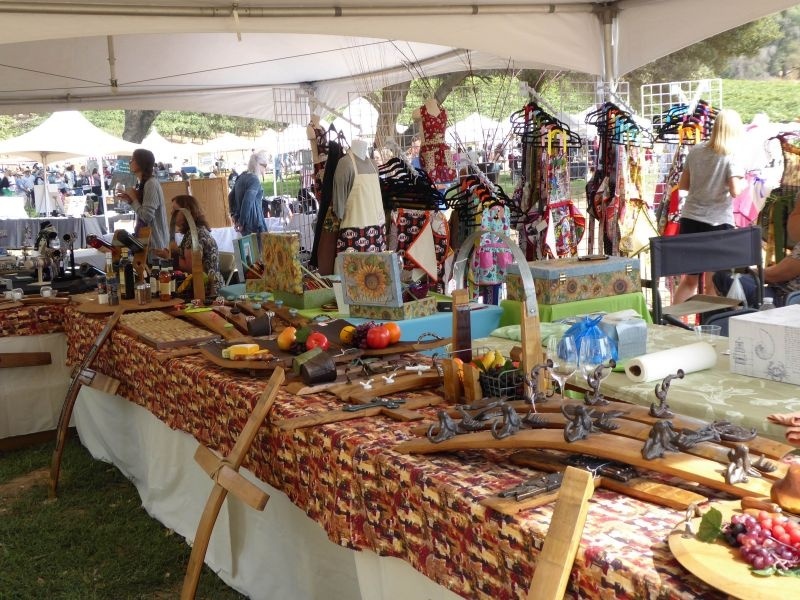 Several months ago we attended the Four Flames festival Amador County. Most of our favourite sips from that event were wines made from grapes associated with Italy. 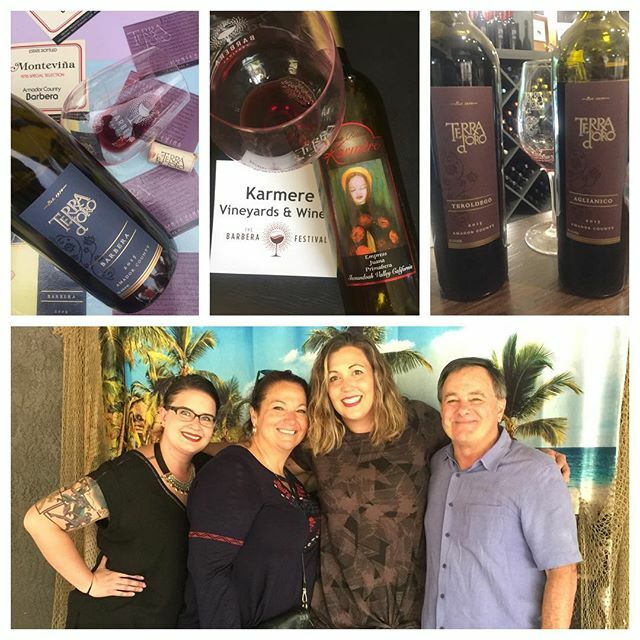 So, when we heard about another event in Amador that was focused on wines made from one of those varieties, we were eager to return to Plymouth. California Girl comments: We couldn’t have had a more beautiful setting, more gracious hosts at Terra d’Oro, or better weather that day. I just felt bad that their internet was down and we couldn’t post live from the event. The Barbera Festival was held on the grounds of Terra d’Oro winery which sits about a mile outside of Plymouth. The name Terra d’Oro translates as “Land of Gold”, reflecting the rich earth and Amador’s history as a centre in California’s gold rush of the mid-nineteenth century. The winery focuses on Zinfandel, Sangiovese, and Barbera. Barbera is an Italian red wine grape. As of 2010, it has the sixth most vines by hectare in the country. Here in California, it is less common. 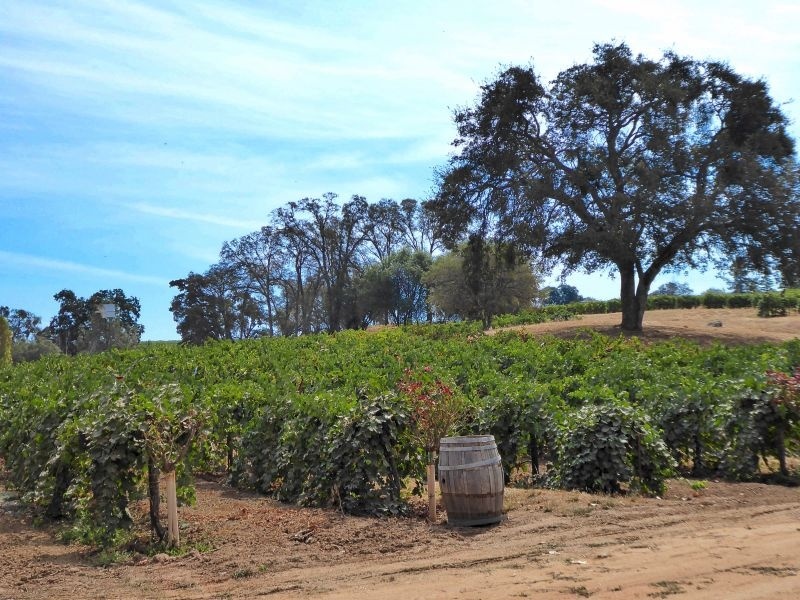 In 2015 there were just 5,416 acres of Barbera grapes, out of a total of over 308,000 acres of red wine grapes in California, making it the ninth most planted such variety in the State. It is surprising, however, that even such a small acreage exceeds that of Sangiovese. The Barbera grape tends to make wines with low tannins and high acidity. The open area outside of the Terra D’Oro tasting room was filled with tents offering craft goods, food, and, of course, a wide range of wines to taste. 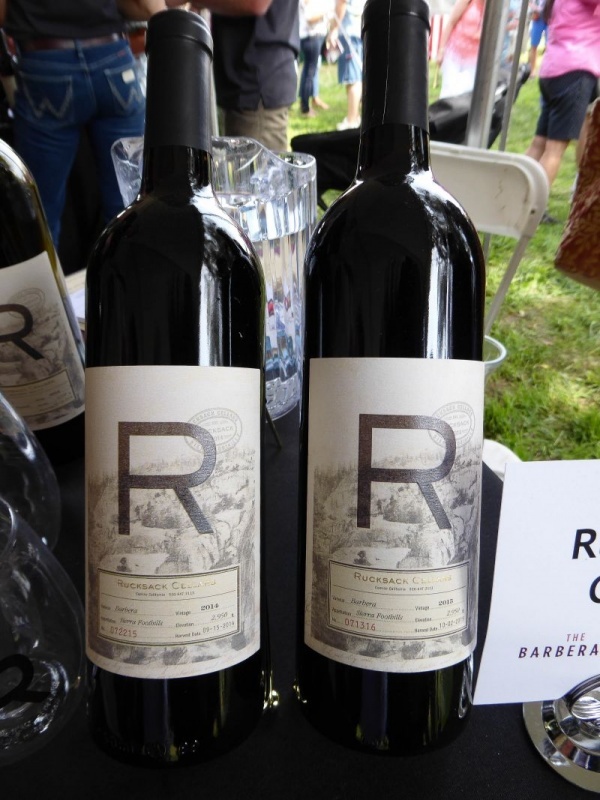 The wine on offer went beyond Barbera and outside the confines of Amador County. 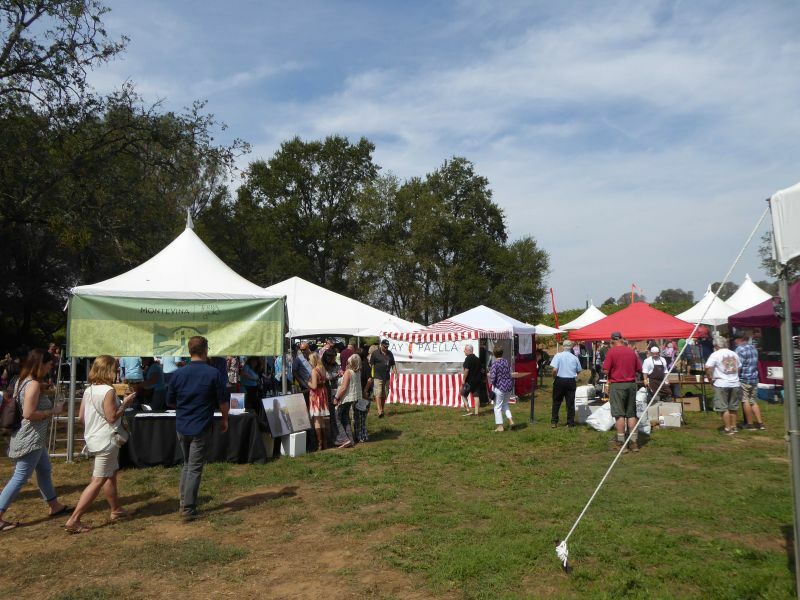 Nearly eighty wineries were represented, from Ventura County to Mendocino. All of the wineries were pouring at least one Barbera, but most had several other wines that drew upon a range of Italian varietals. California Girl comments: There were so many things to see at the festival. Several animal rescue groups came out bringing their rescues including some amazing birds of prey. 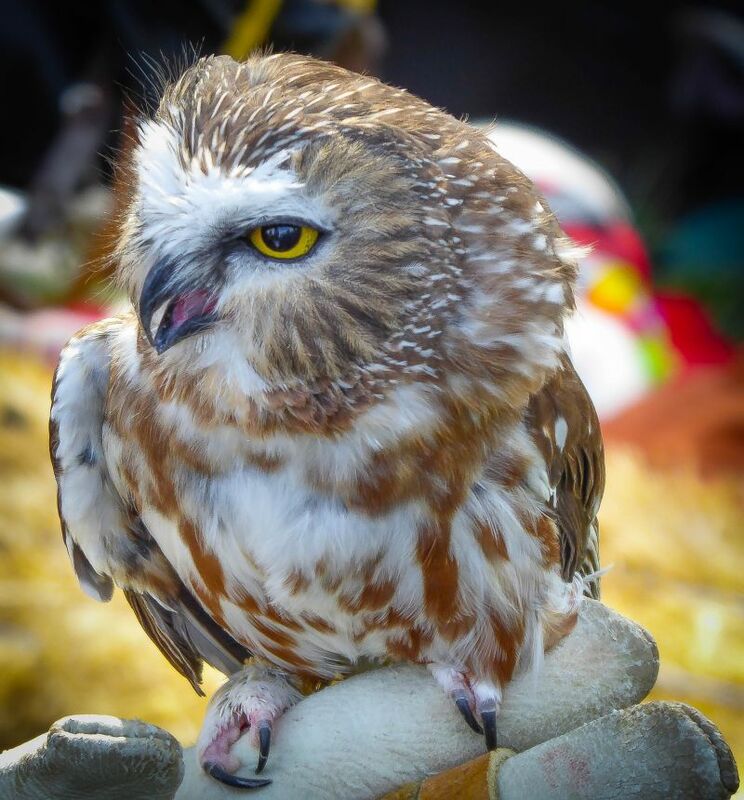 I caught some pictures of owls and hawks. There were far too many wines for us, even as a group of five to taste all that was on offer. The crowds also made careful contemplation and detailed note taking a non-starter. The variation in Barbera wines was intriguing, although nearly all of them shared a striking acidity. Barbera is a wine that calls for pairing with food. We did not avail ourselves of the many vendors offering food, as we had filled up with a hearty breakfast at a classic American Diner in Plymouth; The Dead Fly Diner. Whilst arriving with a full stomach was a smart move, it may not have served the wines to their fullest. My favourite Barbera of the day was from our hosts, Terra d’Oro. An honourable mention goes to Kamère Primabara, which is a Primitivo and Barbera blend; which balanced old-world acidity with a California fruitiness that made it a joy to drink even without food. California Girl comments: I have to agree Terra d’Oro won my heart for the taste that day. I would, however, love to go back to the area and taste through a lot more of the wines. It was a great day and we had so much fun! 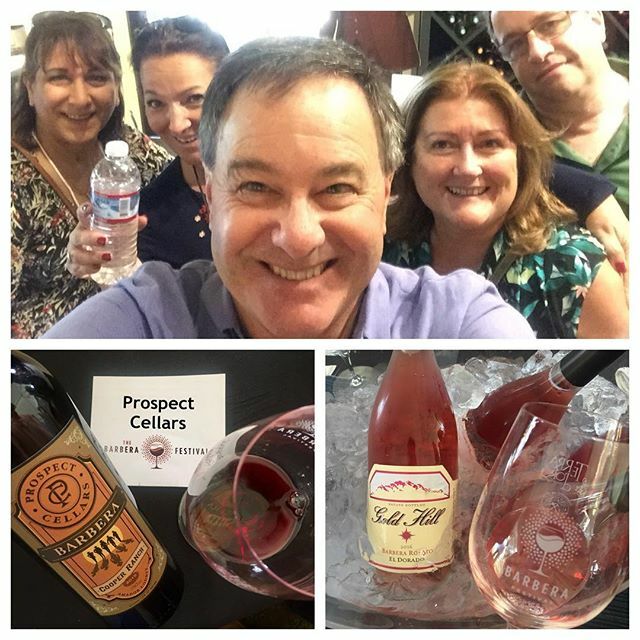 Once again we had an enjoyable time at an event in Amador County, relishing the opportunity to try wines different in style and price from those we enjoy in Napa County.